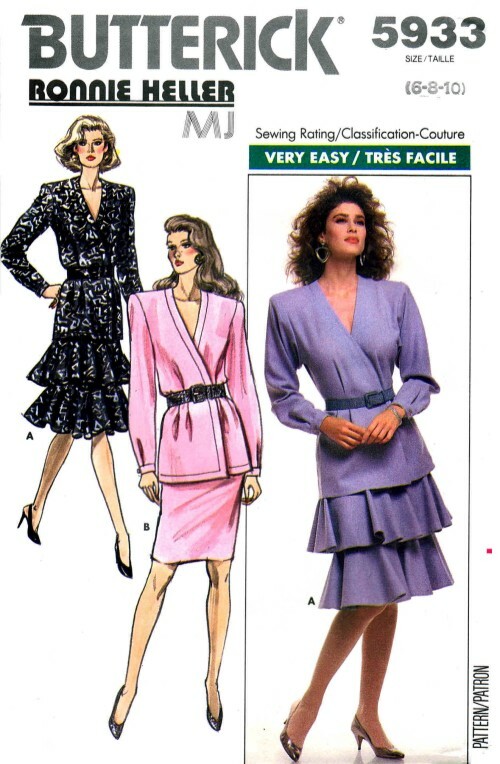 1980's Butterick 5933 Vintage Sewing Pattern Ronnie Heller MJ Misses'/Misses' Petite Top & Skirt: Semi-fitted, partially lined, below hip, wrap, blouson top has extended shoulders, shoulder pads, elastic back and long sleeves pleated into button cuffs. 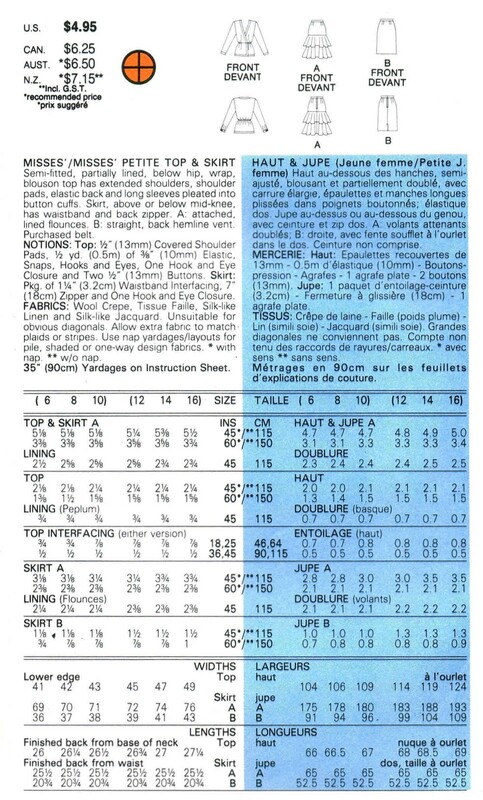 Skirt, above or below mid-knee, has waistband and back zipper. A: attached, lined flounces. B: straight, back hemline vent. Purchased belt.